Professor He Yafei (何亚非) spent over 30 years working at the heart of Chinese foreign policy and diplomacy. He worked in the African Affairs Unit of the Ministry of Foreign Affairs and in the Chinese Embassy in the United States. In 2008, Professor He became the Vice-Minister of China's Foreign Affairs Ministry, and in 2010 he became China's Ambassador to the United Nations in Geneva. 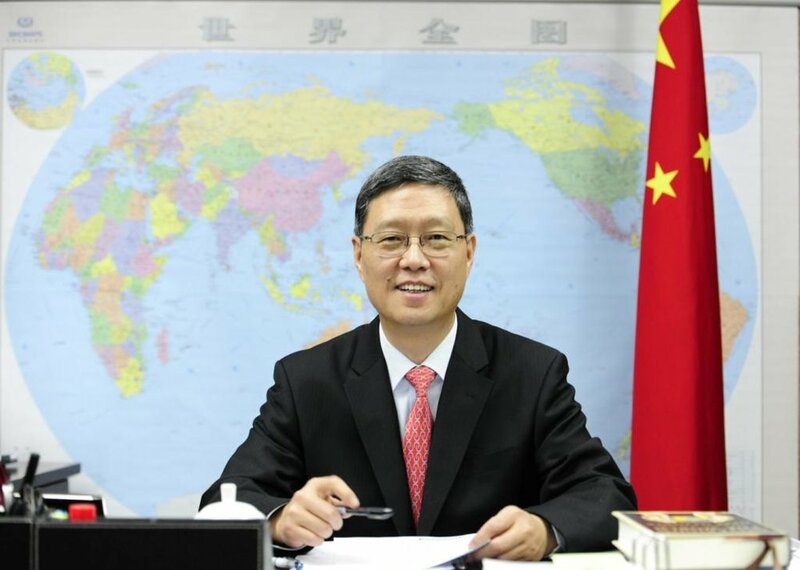 Between 2012 and 2016, he served as Deputy Director of the Overseas Chinese Affairs Office of the State Council. Professor He has authored a number of publications on global governance and China's role within it. Please tell us a little bit about yourself and your career. How did those experiences influence your views on global governance? He Yafei: I have been working in diplomacy for more than 30 years; my experiences working across several countries and international organizations has had a significant impact on my worldview. In particular, my time working with the Chinese Embassy in the US was a particularly valuable experience given that the Sino-US relationship is the most complex and important relationship China holds. These experiences have all informed my view on global governance. Being immersed in China’s foreign policy for many years has also allowed me to witness and contribute to China’s evolving role in global governance from within. It’s become apparent to me that in the last decade or so, the way the global governance is conceptualized has also been evolving. So what role is the Belt and Road (BRI) going to play in globalization and global governance? He Yafei: Globalization is now facing many difficulties; as we all know, across parts of the developed world there is growing populism and anti-globalization sentiments. This is problematic for development; history tells us that countries have developed through growing global connectivity and attracting industries from richer countries. For example, the economies of Japan, Singapore, Korea and indeed China have all been beneficiaries of industry transfer. None of this would have been possible without open and welcoming markets, receptive to FDI. Of course, some worker groups lose out from this process as it becomes untenable for their industries to remained situated in their home country due to rising wages. This is most acutely seen in the US, and now reflected in its increasingly protectionist stance. Given this backdrop, the BRI hopes to give added impetus to globalisation at a time when it is facing a backlash in other parts of the world. You can call it China’s solution or China’s proposal, it doesn’t matter. The core idea of the Belt and Road Initiative is to achieve greater connectivity, closer ties, infrastructure links, people-to-people links and policy consultation. Through developing new economic corridors and cooperation, whether that be through physical infrastructure or digital, China is adding new ideas to regional governance. It’s an idea that continues to evolve, but is premised in the history and legacy of the 1,000 plus year old ancient silk road that fostered a spirit of peaceful trade, coexistence and cultural exchange. Many governments want to understand what the BRI is. What would your advice be to them? What are the tangible steps they can take to engage with the BRI? He Yafei: First of all, be open-minded. The BRI is not just a project for China but it is an open platform for international and regional cooperation. It is country agnostic, and welcomes participation from all. To understand where there may be synergies with the BRI, a country’s government first needs to assess its own growth model and the respective priorities. Once that is established, commonalities can be sought with the BRI. That could revolve around hard infrastructure build-up, faster digitalisation or manufacturing industry transfer. Taking the last of these, many of China’s manufacturing firms want to relocate their production overseas due to cheaper labor costs. Ultimately, China no longer has a relative advantage in some of these areas. Bangladesh, Sri Lanka or Latin American countries, for example, have more compelling wage structures than China so naturally, production will be moving out. Hence, to engage with the BRI, it’s important to find strategic convergence in developmental models. Let me give you an example of an African success story – Ethiopia. It has to a great extent learned from China's experience of reform and opening up, in particular through construction of industrial parks. It is now attracting manufacturing firms from China, for example in the textiles and shoes sectors. Industrial parks are actually gaining in popularity all through Africa. China, through the BRI, can help with access to capital, training and by helping countries take advantage of economies of scale. As you mentioned, the Belt and Road Initiative continues to evolve and encompasses new themes and regions. As the BRI moves forward, what are some of the primary challenges it will face? He Yafei: I see two major challenges, focused around cultural differences and geopolitics. Firstly, the cultural challenge. The BRI comprises many kinds of cultures, religions and civilizations: Chinese civilization and Western civilization, Christianity, Catholicism, Islam and Buddhism to mention a few. The complexity does not stop there. Take the Buddhist civilization, for example, the culture in Myanmar is different from that of Thailand although they both fall under Buddhist civilization label. However, we should not look at the issue from the perspective of the clash of civilizations. There are differences, but not necessarily conflicts. It is important to understand the characteristics of each other's cultural civilization, which is the advice I always give to our Chinese enterprises. I say to them you must understand the local culture and adapt to the local culture. It is very important for you to have the support of the common people, without it BRI will not be as successful as it could be. Secondly, the geopolitical challenge. Clearly, not all countries around the world support the BRI, accusing the BRI of being a vehicle for China to increase its sphere of influence. The politics of these countries can have a negative impact on the implementation of BRI; as a result it is crucial we, through intensive exchange and consultation, overcome these concerns. BRI is not just for China, and we need to get that message out. China may play the leading role because the BRI was proposed by China, but the BRI does not belong to China, instead it belongs to all those who are willing and are able to participate. I believe that sooner or later the US will recognize that opposing the BRI is not the right thing to do as China has no ulterior motive. And with the 5th anniversary of BRI quickly approaching, there is an opportunity for us to look back, look forward and start afresh where there were problems before.